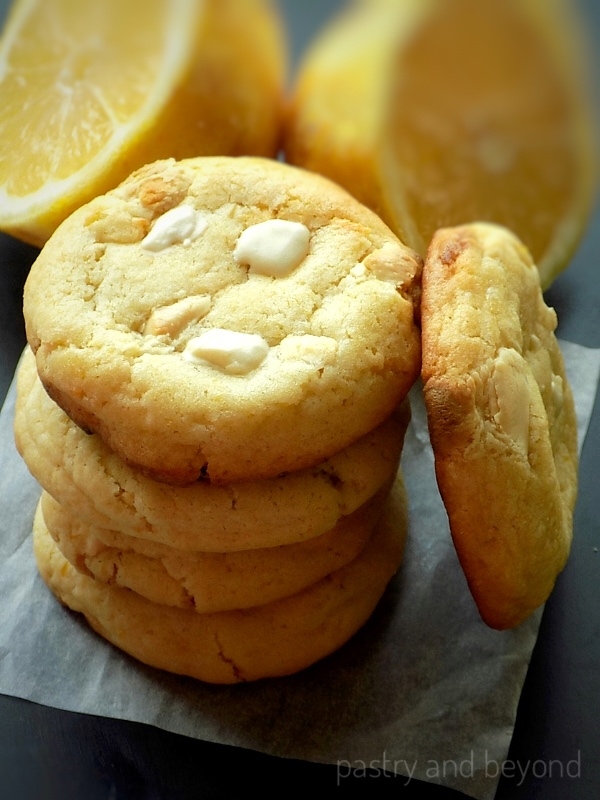 Soft lemon white chocolate cookies are delicious and so easy to make! 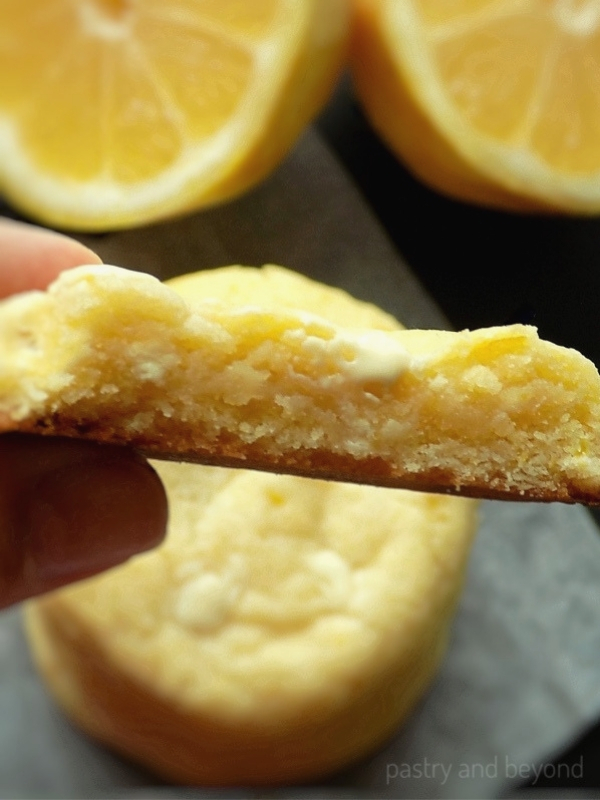 These sweet treats are perfect for lemon-white chocolate lovers! Lemon desserts are my all time favorites. 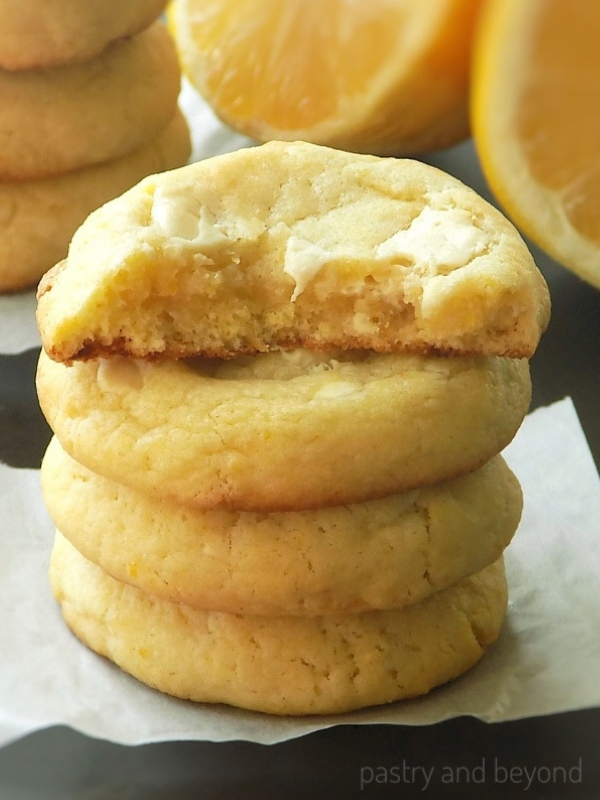 Lemon bars, lemon curd and lemon cookies are just to name a few. If you are looking for lemon desserts you are in the right place. I also love lemon and white chocolate together. Have you tried my lemon coconut bars where I use white chocolate ganache? They are very yummy bars. If you are a lemon-white chocolate lover, you should definitely try those bars (if you haven’t already). 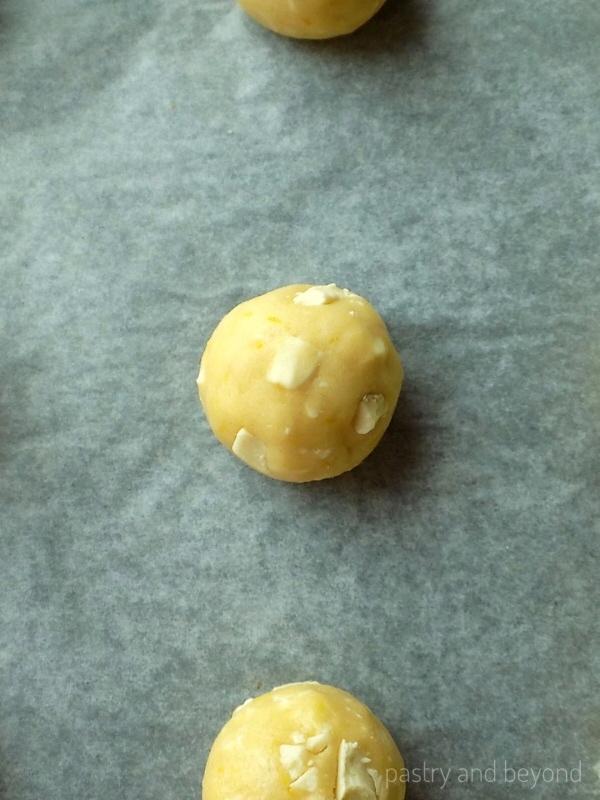 Today, again I use lemon and white chocolate together to make lemon white chocolate cookies. They are soft in the middle and chewy at the edges. Baking time is essential, you shouldn’t over bake so you can eat them soft. Cornstarch– for softness and chewiness. 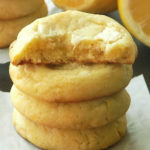 How Long Do Lemon White Chocolate Cookies Last? You can keep in an airtight container up to a week at room temperature or up to 3 months in the freezer. 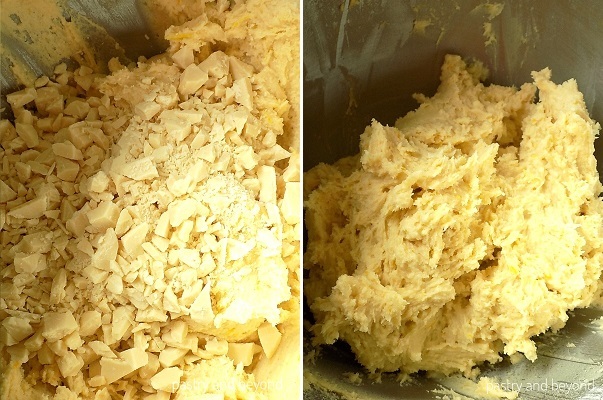 You can keep well-wrapped cookie dough/balls in the fridge up to 3-5 days and in the freezer up to 3 months. First I combine the flour, baking soda and cornstarch in a medium bowl and set aside. Then I mix the sugar and lemon zest in a mixing bowl to bring the lemon flavor out. Next, I add the cubed butter and cream the mixture with a paddle attachment as I am using a stand mixer. I scrape down the sides and bottom of the bowl as needed so they can mix thoroughly. Later I add the egg, mix well, and scrape down the sides and the bottom again. I add the lemon juice and mix. When I mix in the lemon juice, the mixture curdles. That’s ok, the flour brings it back together after I mix with the flour. I add the flour in 2-3 batches. Finally, I add the white chocolate and mix at low speed for 3-4 seconds until combined. Then I use my spatula to mix to make sure they combined well. The dough will be sticky. I cover the bowl with a plastic film and keep in the freezer for 30 minutes. When firm enough, I shape the dough into 40 gram (2 tablespoons) balls. I add some more white chocolate and bake for 8-9 minutes. I remove the cookies from the oven when the edges are lightly brown and the top of the cookies set. The cookies will be hard to handle but they will set as they cool on the baking sheet. Just like my cocoa powder cookies, soft cinnamon cookies, they will be puffy when they are out of the oven. 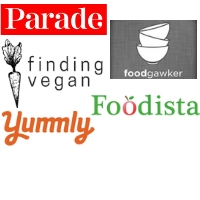 I press down them gently with the back of a spoon. If I want to add more white chocolate I do this while the cookies are still hot. I let them cool on the baking sheet for at least 20 minutes before eating. 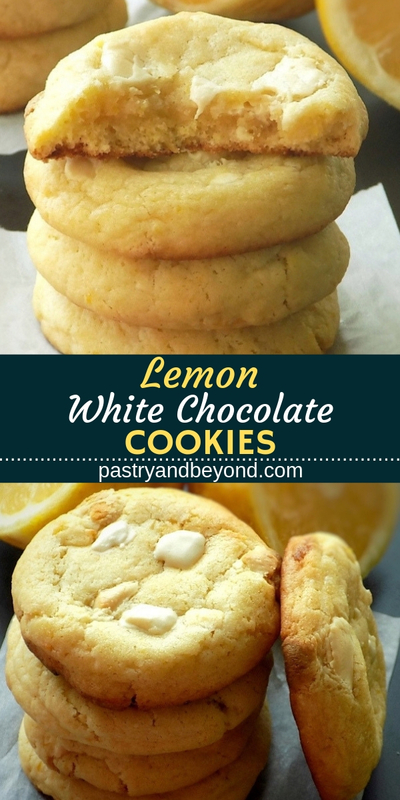 These soft lemon white chocolate cookies are delicious and so easy to make! 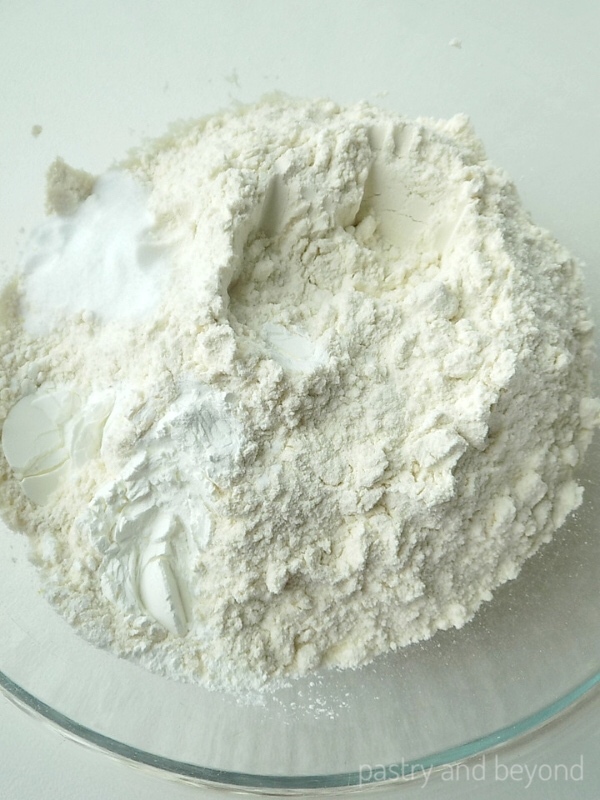 Combine flour, baking soda, cornstarch and salt(if using) in a medium bowl and set aside. 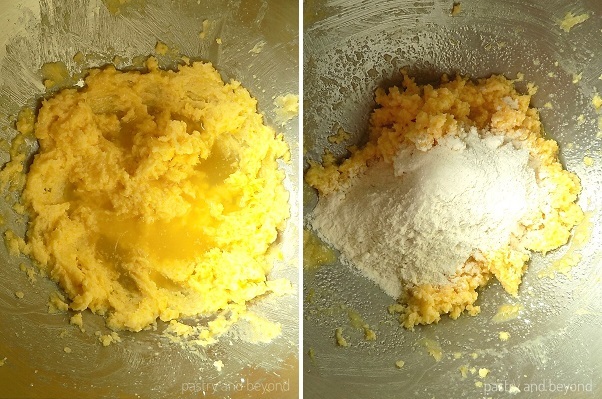 Place the lemon zest into a mixing bowl and add the sugar. Rub them with your fingertips or mix them with a fork to bring the lemon flavor out. Add the butter and beat on medium speed until the mixture is creamy with a hand-held mixer or with paddle attachment if using a stand-mixer. 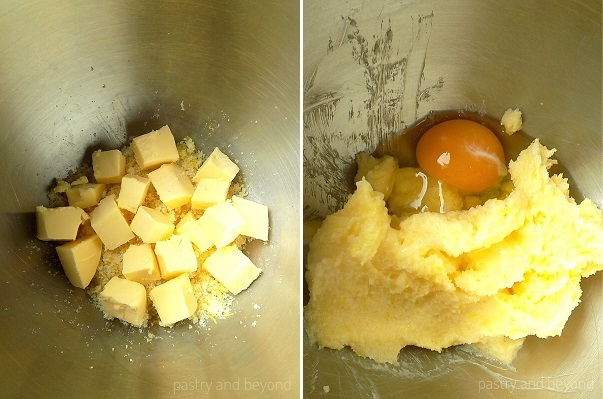 Add in the egg and mix well. During these steps, stop the machine and scrape down the sides and bottom of the bowl with a rubber spatula when needed to be sure they are all mixed. Add the lemon juice. Add the flour in 3 batches and mix well. After adding the lemon juice, the mixture may curdle which is ok. The flour will bring it back together. Stop the machine and scrape down the sides and bottom of the bowl as needed during the steps. Stir in the white chocolate chunks on low speed for 3-4 seconds. Cover the dough with a plastic film and keep in the freezer for 30 minutes. If you like, you can keep the dough overnight in the fridge for a stronger flavor. Remove the dough from the freezer and roll the dough into 40 gram (2 tablespoons) balls and place them on the baking sheet. You can add some extra chocolate chunks. Leave enough space between the balls about 2 inches (5cm). Bake for 8 to 9 minutes until they are lightly brown at the edges and slightly set in the center. The cookies will be hard to handle. Remove the baking sheet from the oven. The cookies will be puffy. Gently press down on the cookies with your fingers or with the back of a spoon. If you want to add more chocolate on top, you should do this while the cookies are still hot. Let them cool on the baking sheet for 20 minutes, they will completely set as they cool. 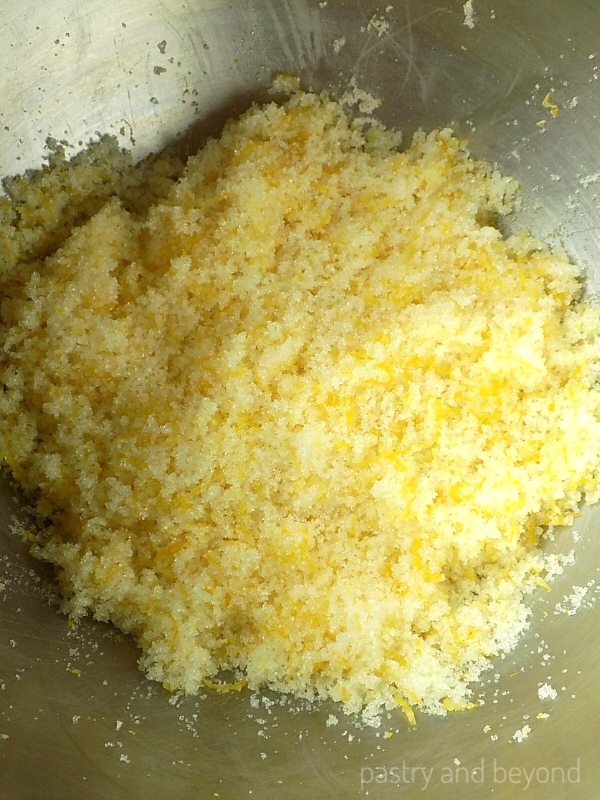 **For extra lemon flavor you can use 4 tablespoons of lemon zest. Update Notes: I published this post first on March 31, 2017. Today I update the pictures. I increase the amount of lemon zest in the recipe.